The Bride and Groom are all dressed and ready for their wedding day. 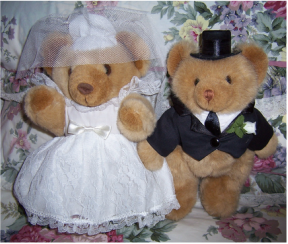 The bride teddy bear is from CA Australia, and is wearing her lace wedding dress. The dress can be removed. On her head is a lace bridal veil. Percival the groom is all dressed for his big day as well. He is in a black satin type jacket with tails, white shirt front, black tie, black tip hat, and a satin flower in his lapel. He is jointed at the arms and legs, and has his tag on the back of his body. Sebastian is a bear made by Teddy & Friends. He is approx 30cm tall from tip of ear to bottom of feet. 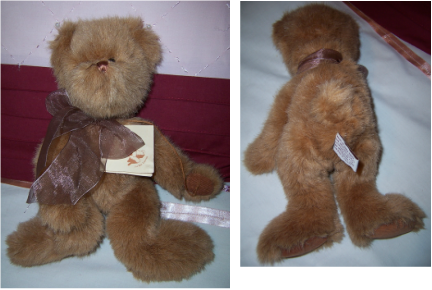 He is made of very soft brown fur, and has brown corduroy type fabric pads on his paws. He has brown plastic eyes and stitched nose. He is wearing ribbon around his neck, and his paper hang tag is sewn onto his body at the front. We just love this bear. He is so soft and cuddly. 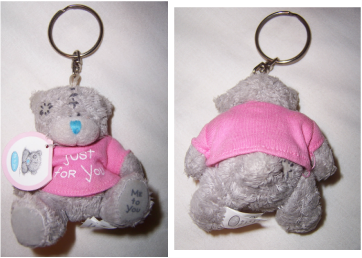 ''Just for You'' cute little teddy key chain is from the ''Me to You'' range of soft toys. This teddy bear is in a sitting position. She is grey in colour and is wearing a pink little T Shirt which has ''Just for You'' on the front. She has ''Me to You'' written on one of her foot pads. She has a silver key chain attached to her head, original paper tag to body and her cloth tag to her leg. She appears to be unplayed with condition. Jeremy is a teddy bear from Tomfoolery Australia. He is from the Tenderness Collection. 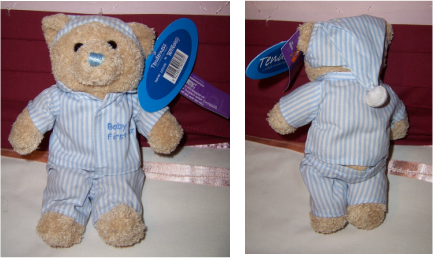 He is a very soft toy with some bean bag type pellets in his bottom to help him to sit. He is all dressed for night time with striped shirt, pants and a night cap on his head. The pants and shirt can be removed but the hat is stitched onto his head. 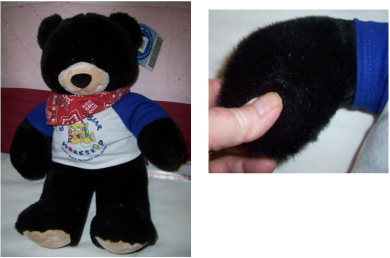 He has black plastic button eyes, blue stitched nose, and is light brown in colour. He is very light and is very soft and cuddly to touch. A lovely little bear to cuddle. 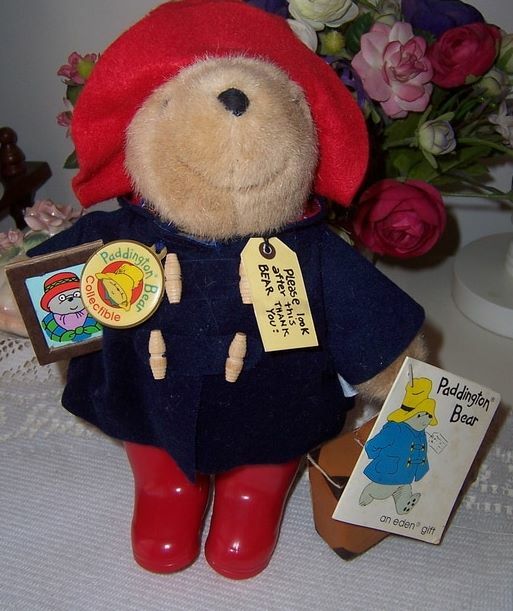 Our Paddington Bear is in wonderful condition and has all his original extras still attached to his body, and appears almost like new. 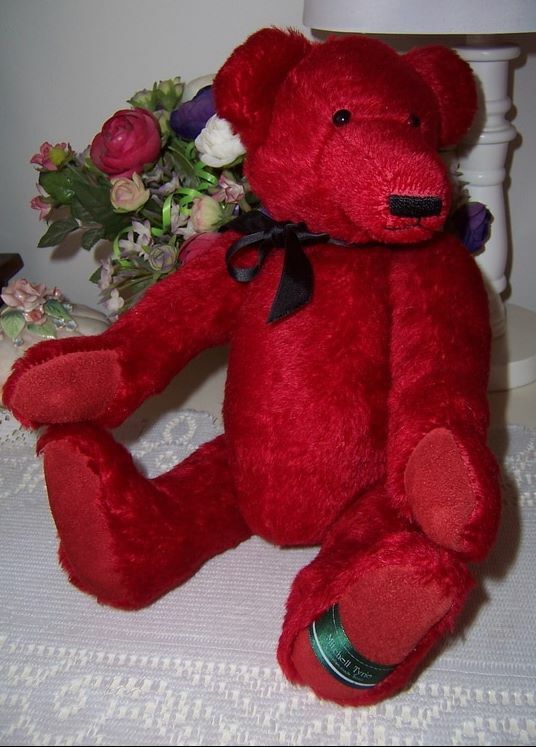 This teddy bear is an Australian made teddy bear by the well known bear artist Mitchell Tyrie.